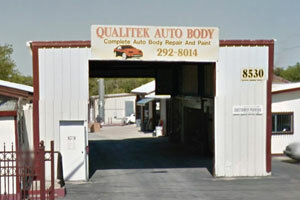 Our auto body shop in Austin uses the latest collision repair technology to get you on the road safely and quickly. 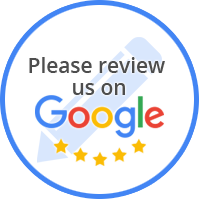 Check out all our reviews from Google+, Yelp and YellowPages! We currently have 85 - 5 star reviews! For honest, affordable collision repair in Austin, Texas, nobody beats Qualitek Auto Body for price, quality, or workmanship. Locally owned and operated since 1991, we’ve been providing the finest paint and body repair services and unsurpassed customer service. We offer quality collision repair and refinishing surfaces at an honest, affordable price and our staff uses only the most state-of-the-art equipment and computerized auto body repair services to get your car or truck looking like new and back on the road as soon as possible. From fender benders, to hail damage, to major collision damage, Qualitek Auto Body’s trained estimators will assist in filing your insurance claim and negotiating with your provider to ensure that all repairs are performed properly. Our highly trained, certified auto body service technicians use factory authorized parts, auto body finishes and adhere to the highest standard of service. We work on both foreign and domestic automobiles and provide a written life-time warranty on our work and we guarantee your complete satisfaction. Does the damage to your car or truck prevent you from driving it? Give us a call today to arrange for towing from anywhere in the Austin area, free towing is provided with repairs. Qualitek Auto Body will work with your deductible and can also assist you with your insurance claim. You already have to spend money to get your vehicle fixed. Don't spend more than you have to just getting the car to our shop. We offer FREE towing with our repairs. We also offer FREE estimates on all repair services. Contact us 24 / 7 for emergency towing services.